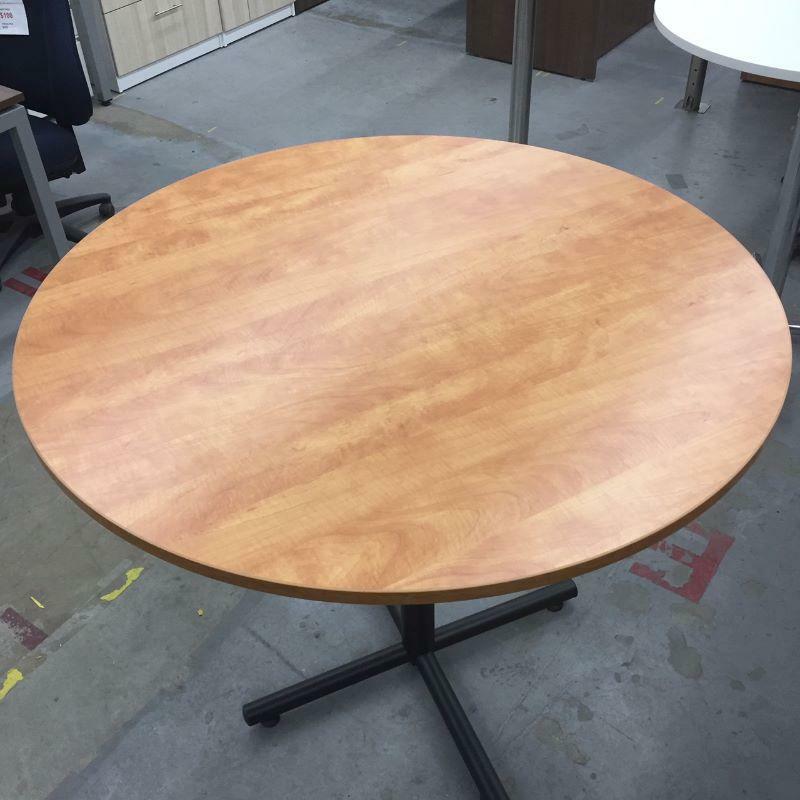 Bistro-height conference table with Honey laminate top and Black metal base. NOTE: Colour is discontinued. Cash & carry at Source Calgary only; please contact store for availability.